"Is what we are doing working, and HOW do we know?" 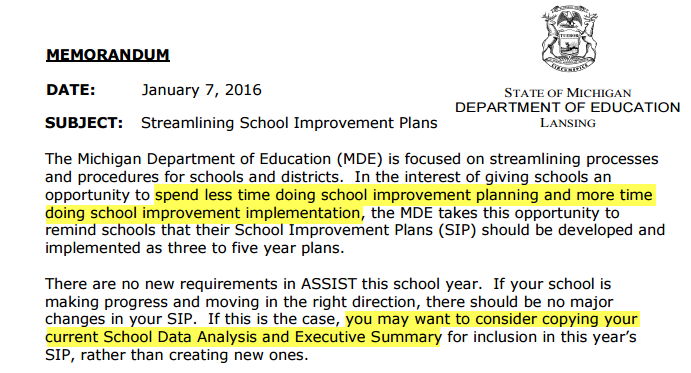 MDE: "Spend less time doing SI planning (compliance documents) and more time doing SI implementation"
Click the ASSIST Support page to see directions and/or YouTube videos on how to copy any diagnostic report that has not changed from last year. There is also guidance how to start a new report, attach to the portfolio task, mark complete (when actually completed) and schools to submit the report. Of course, districts will also be given guidance on how to accept/approve the school level reports. When digging into data, remember to celebrate successes as well as looking for areas of concern. In addition to tracking an aggregate of all students, consider any subgroups that apply to your school such as gender, English Learners (EL), Students with Disabilities (SWD), Socio-Economically Disadvantaged (ED or SES), migrant, and all applicable ethnic groups. The basic steps to completing the School Data Analysis (or Needs Assessment Diagnostic in the new ASSIST platform﻿) are linked below; you may also choose to click the Digging Deeper tab below for the suggested practices using the most recent M-STEP data. Due to the reduction in questions related to achievement, schools should consider utilizing a process to analyze the data such as the Data-Driven Dialogue Protocol adopted from Bruce Wellman and Laura Lipton's Data-Driven Dialogue: A Facilitator’s Guide. This may guide subject area dialogue to discover strengths, challenges, trends and how a school might respond in the School Improvement Plan. You may want to use this quick link to the 2017 CNA Guidance Doc or the 2015 CNA Guidance Document which includes step-by-step instructions for how to locate/access the data necessary for answering the CNA questions. There are references to MI School Data and some podcast links to help, though some 2015 data is no longer available. 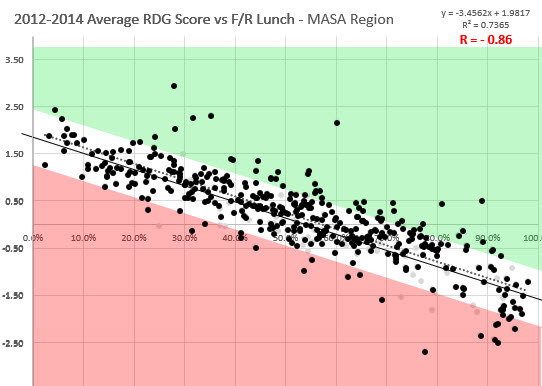 ﻿Are you in the Top 20% of RNN Data, outperforming most other schools with similar socio-economic status? The Reading Now Network (RNN) Data tool is a NEW way to look at your reading data over the past three years. Background on the study and videos to support the use of the tool available.